LensMechanix® is for mechanical engineers who work on optomechanical systems. 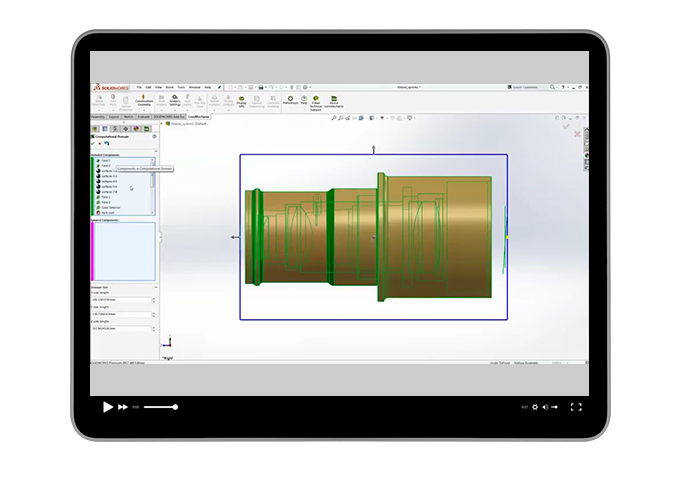 With LensMechanix mechanical engineers can load OpticStudio® files as native SOLIDWORKS components, eliminating the need for STEP and IGES files. How to analyze optomechanical designs for spot size, beam clipping, and image contamination. How to display filtered rays and power on a mechanical surface. How to correct errors in the mechanical design before creating an OpticStudio output for optical engineer validation.